Welcome to The Kids' Clubhouse! We are thrilled you're here! We've made enrolling your children easy and convenient. Please complete the following registration form. After School Care operating hours are Monday through Friday from 2:00pm through 6:00pm. Summer Camp operating hours are Monday through Friday from 7:00am through 6:00pm. The following schools will ride public transportation to the facility: Cash, Piney Grove, Kernersville Elem & Middle. A bus or van belonging to The Kids' Clubhouse, LLC will pick up from the following schools: Caleb's Creek, Colfax, Oak Ridge, and NCLA. child along for the visit. 2. The online registration must be completed and approved before the child may attend the program. 3. Parents are responsible for completing/updating all sections of the registration. Full Day Care will be offered to cover the following: Teacher workdays, holidays, and inclement weather days. Operating hours will be from 7:00am to 6:00pm. Parents will receive a calendar listing the dates that full days will be offered. Parents are required to sign their child up in advance for any full day. We must receive a 24-hour cancellation notice via email in order for the parent not to be charged. If we do not receive the proper cancellation notice, there will be a $10.00 charge for the day. During periods of inclement weather, the facility will be open to run a full day schedule (opening at 8:00am) if the staff are able to make it to work. Please check Fox 8 to ensure we will be open. There will be an additional $15.00 charge per child for each day used. (If a child is not currently enrolled in the After School Care program, the cost is $30.00 per child for each day used). All children will be checked in immediately upon arrival to the program. In order for dismissal, a parent must check their child out. In order to ensure safety, parents must be prepared to present identification until the staff is familiar with them. During the enrollment process, parents are given the chance to provide a list of emergency contacts that are also approved to check the child out. **If an individual other than the parent/guardian is picking up the child, the parent must notify the staff in advance. The individual must show identification prior to departing with the child. 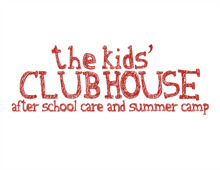 I give permission for my child/children to attend The Kids’ Clubhouse Program. My child may also participate in the activities provided by the program. I surrender my rights to litigation, civil or criminal, to any volunteer or employee of The Kids’ Clubhouse for injuries, whether physical or emotional, which may occur during normal activities, as the law does allow. If a child becomes ill while in the program, parents/emergency contacts will be contacted immediately and expected to pick up the child as soon as possible. We will make sure the child is taken care of and made as comfortable as possible until a parent arrives. If a child is showing signs of illness while at home, please do not send the child to the program. If a child has a fever of 100F or above, they must not return to the program until 24 hours after the fever has passed. Any child whose physical condition appears to be unsafe to other children and staff will not be permitted to stay. Any time a child receives a minor injury (scrapes, bruises, carpet burn, etc. ), staff members will be sure to complete an injury report for the parent to read and sign. If a serious injury occurs at the program, the parents/emergency contacts will be contacted immediately. If necessary, the local rescue squad may be contacted for assistance. Staff members will also be required to complete an injury report for serious injuries. While parents have the main responsibility for the detection and treatment of head lice, we will work in a cooperative and collaborative manner to assist all families to manage head lice effectively. If a child develops lice while at The Kids' Clubhouse, a parent will be contacted to come pick up the child. A child may return to The Kids' Clubhouse once they have been fully treated and cleared by a doctor. We must receive a copy of the doctor's note. If a child is required to take medication during operating hours, the parent must complete a medical consent form along with providing the medication. Any medications must be in the original container, labeled with the child's name, Doctor's information, and specific dosage instructions. If the parent does not complete the medical consent form, no medication will be given to the child. If a parent decides to withdraw a child from the program, a withdrawal form must be completed. If the monthly draft (or weekly draft for summer camp) has already occurred, no refund will be issued. Each child will have a place to store their personal belongings. They will be able to store backpacks, coats, extra clothes, etc here. It is important that the child/parent remove all items at the end of each day. Personal toys, games, cell phones, mp3 players, ipods, etc. are not permitted in the program. If a child is caught using any of these, the item will be taken and returned to the parent at the end of the day. We believe that children should be given clear guidelines for behavior, treated with respect, and shown a consistency in discipline practices. We also believe that it is important for children to learn to make the right decisions as well as to be taught how to handle consequences. Children will always be supervised in all activities and any inappropriate behavior will be handled immediately. 1. Child will be given a warning as well as given another way of accomplishing something. 2. Child will be pulled aside and spoken to by a staff member. 4. If the problem continues, the child will be sent to speak with one of the Directors. 6. At any time, the Director may request a parent conference. Parents may also feel free to schedule a conference with the Director. The Kids’ Clubhouse has my permission to use photographs taken at The Kids' Clubhouse for display purposes, slide shows, and advertising purposes. The Kids’ Clubhouse has my permission to transport my child to and from the approved field trips on the Kids’ Clubhouse activity bus or van. A $50.00 registration fee per child will be due upon enrollment. This is an annual fee that will cover the after school care program as well as the summer camp program. If the fee has already been paid for another program in the same year, it will not be due at that time. The cost of after school care will be $2,400.00 ($1,650.00 for each additional child) for the 2018-2019 school year. This amount will be broken into 10 equal payments and drafted on the 15th of each month, beginning in August 2018 and ending in May 2019. The cost of summer camp will be $170.00 ($155.00 for 2nd child/$145.00 for 3rd child) per week for the 2019 summer program. This amount will be drafted each Friday prior to the week the child is signed up for. **We will not be accepting monthly cash/check payments. If a parent decides to pay by cash or check rather than use the draft system, the payment must be submitted by the start of the school year in the full amount. A late fee penalty will be charged if a student is picked up after the operating hours (6:00pm). If a child is picked up after this time, there will be a $1.00 per minute fee added to the monthly draft. There will be a $10.00 service charge for all returned payments. The payment due along with the service charge must be paid within a week of the return date. If payment is not received, the Director has the right to discontinue services.